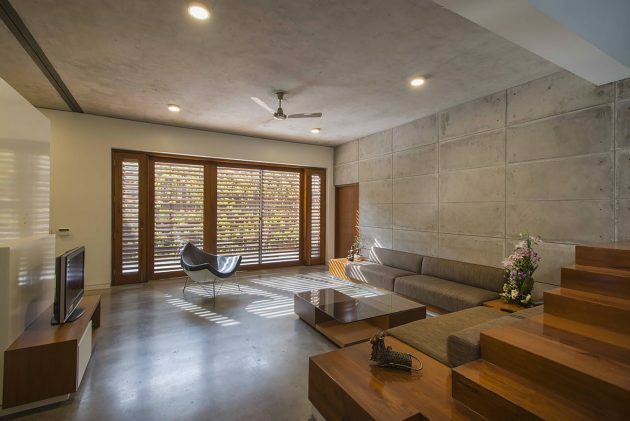 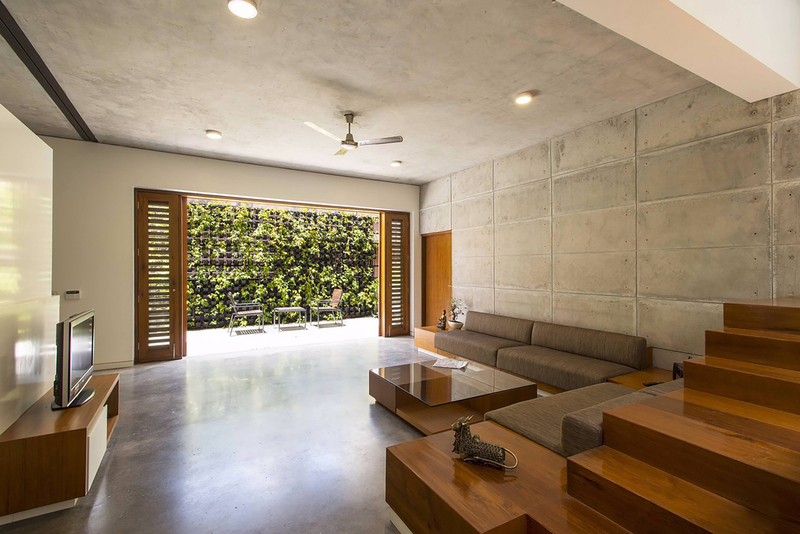 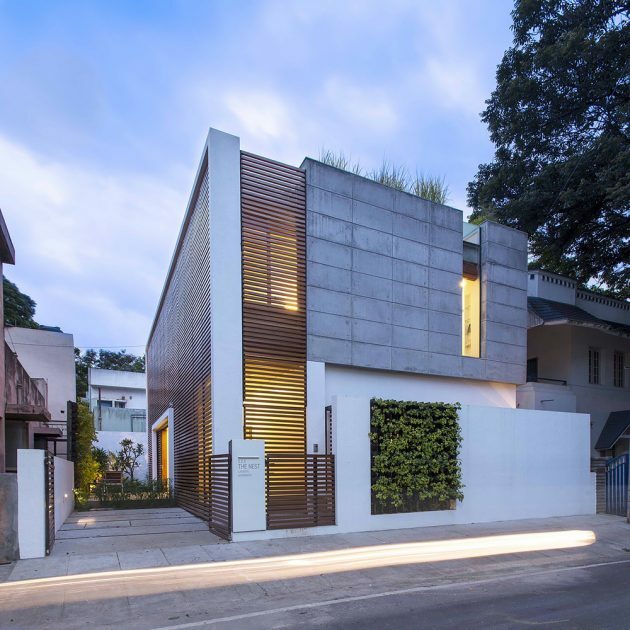 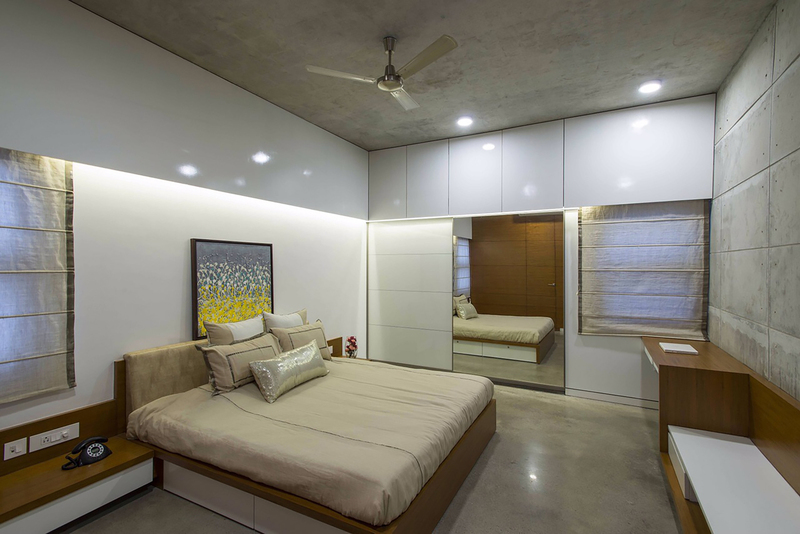 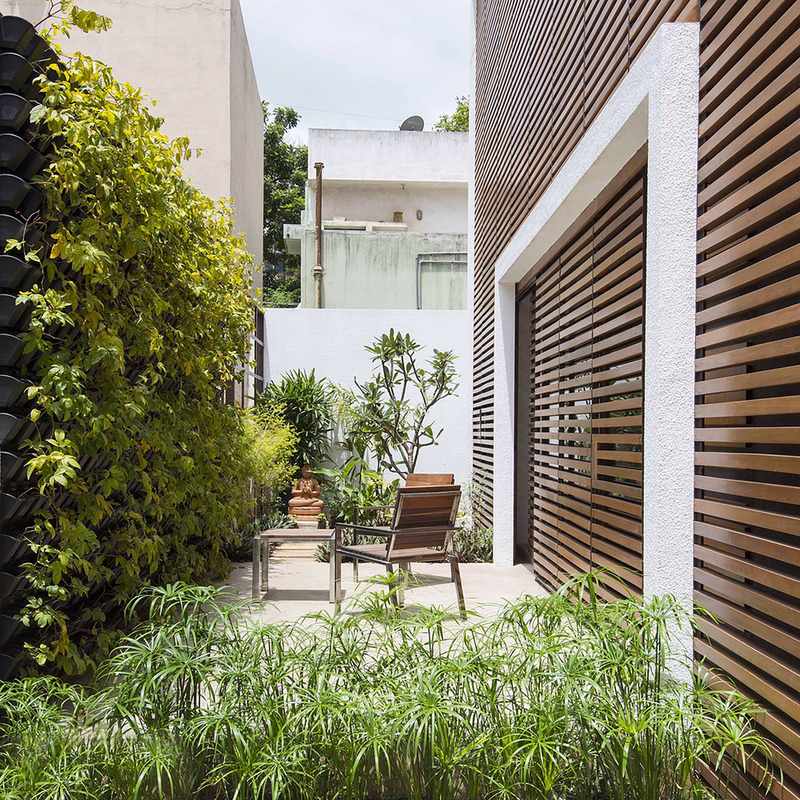 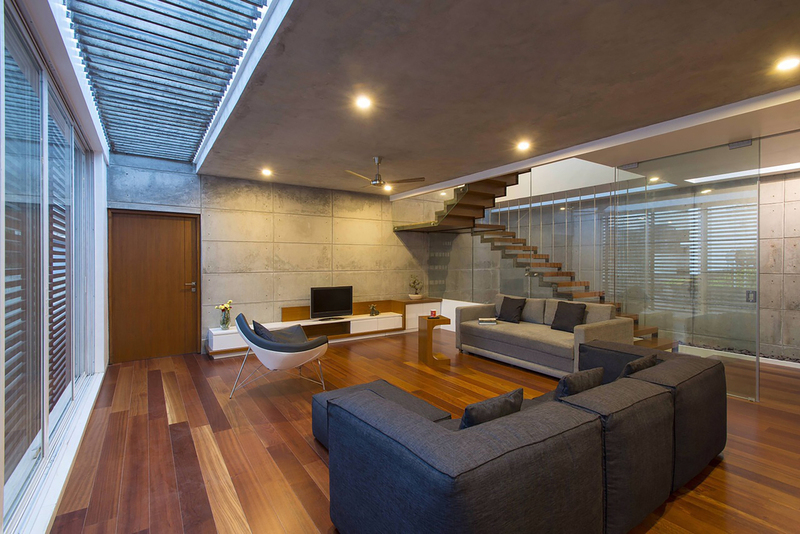 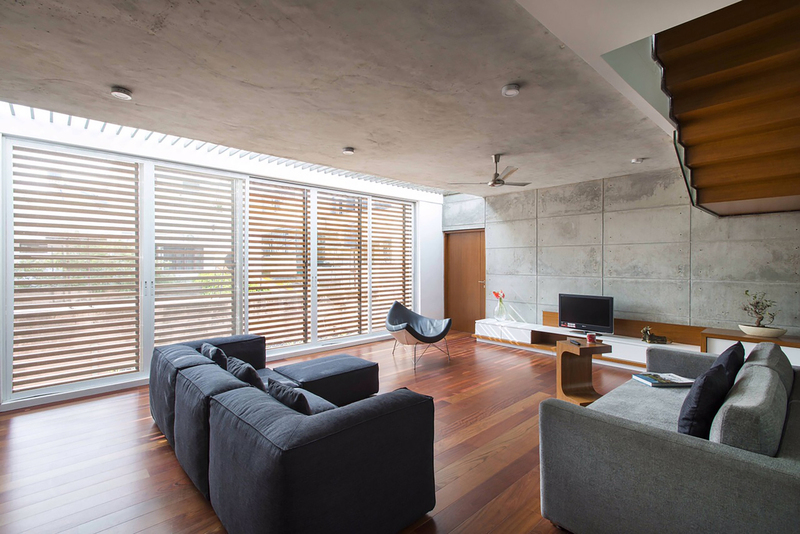 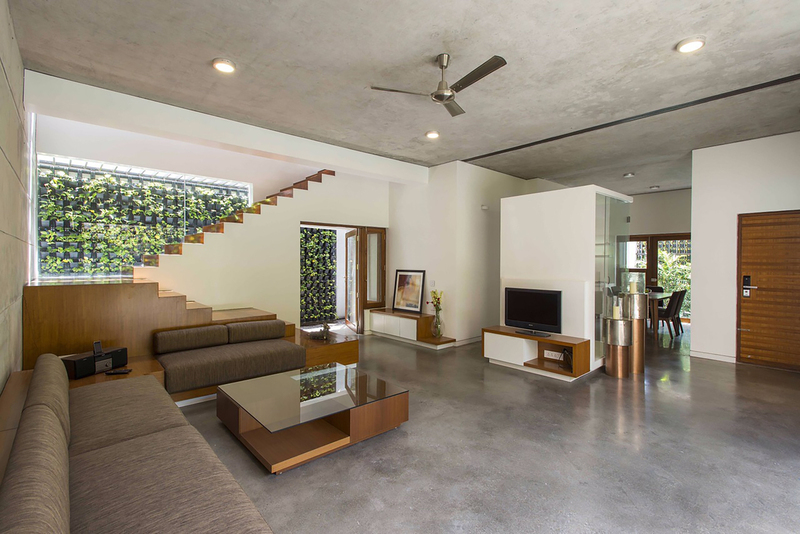 The Badri Residence represents a great example of a modern Indian house. 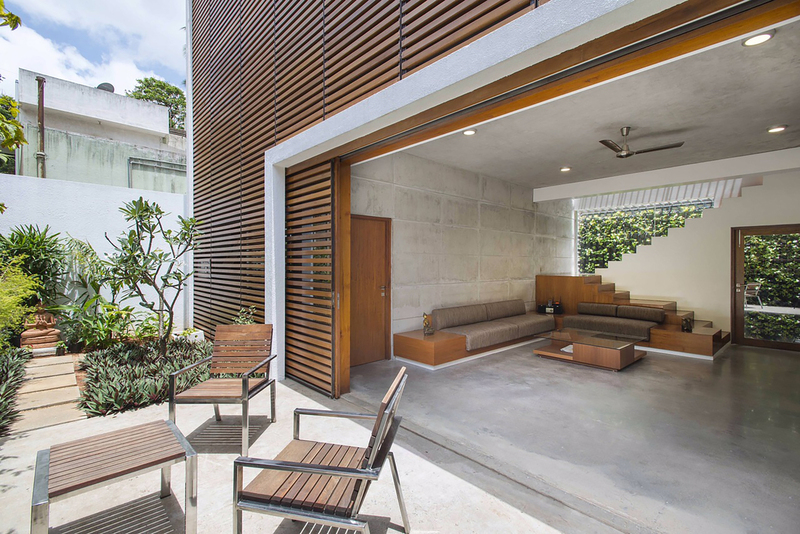 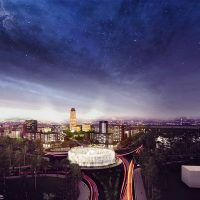 It was designed by Architecture Paradigm and is located in Jayanagar, Bengaluru (Bangalore). The site on which the residence lays could only offer 2,400 sq ft of land parcel. 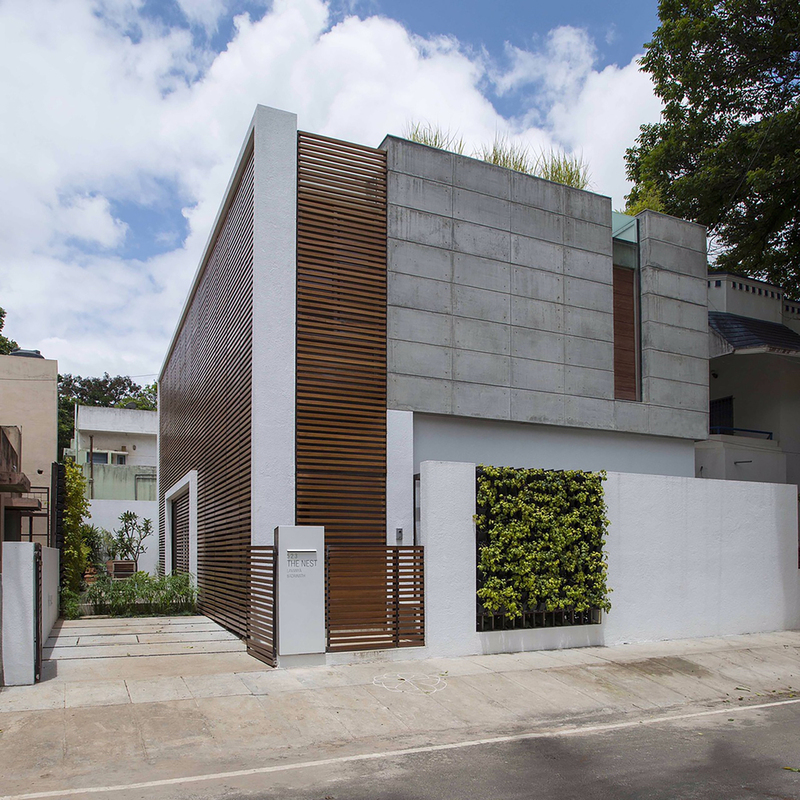 The main road is on the north side of the plot of this modern Indian house. 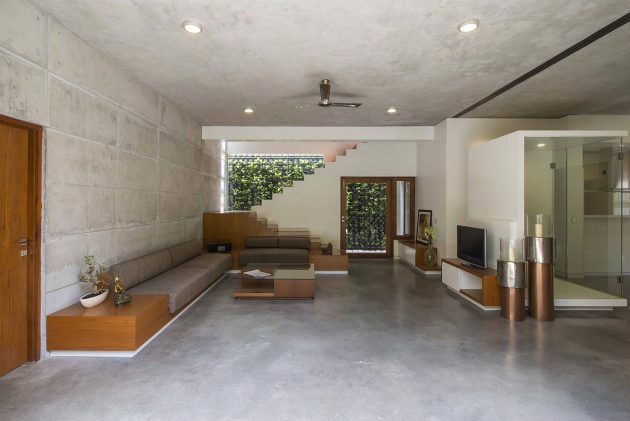 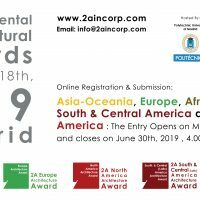 The client is a strong believer of the ancient doctrine of Vastu which played a crucial role in the outcome of the design of this modern home. 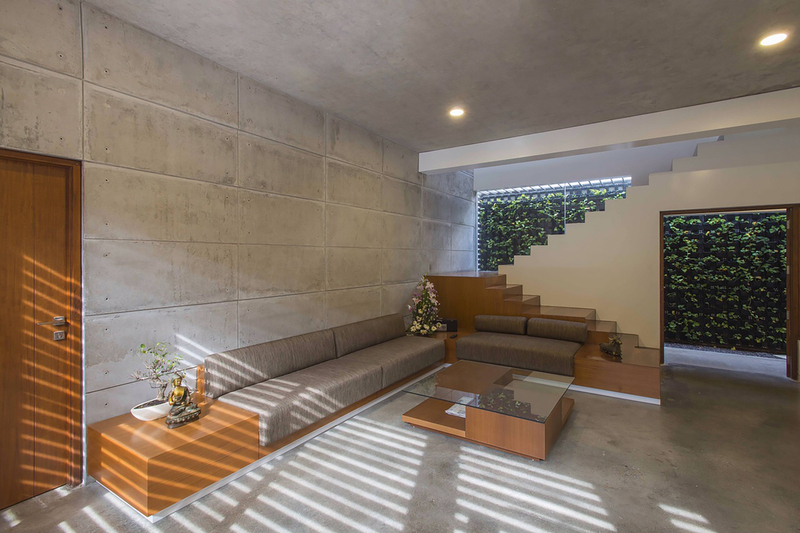 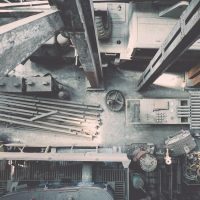 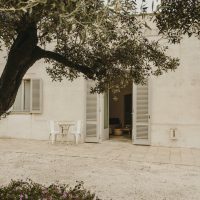 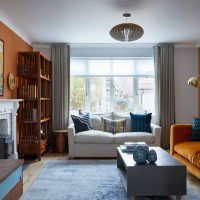 Working with the family, it was decided that the home needed 3 bedrooms along with a kitchen, living, dining room and a multipurpose room which is distributed across two levels.